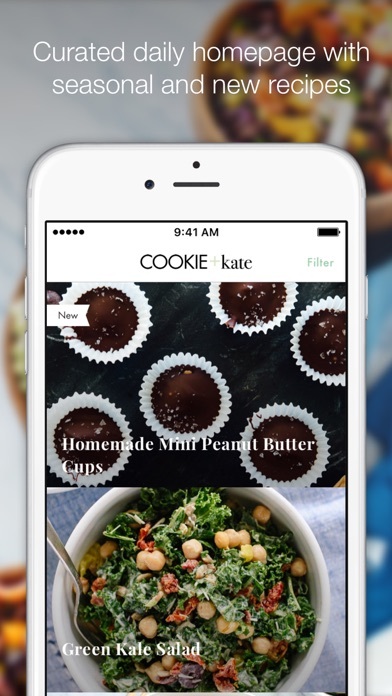 Introducing the Cookie and Kate app, featuring over 100 recipes from Kathryne Taylor of America’s most popular vegetarian food blog and author of the bestselling cookbook, Love Real Food! Loyal readers flock to Cookie and Kate each month for Kathryne Taylor’s approachable recipes, friendly encouragement and vibrant food photography (plus the occasional snap of her funny crumb-catching mutt, Cookie). If you are looking for an app designed to help you eat more healthy, affordable, meatless meals, this app is for you! 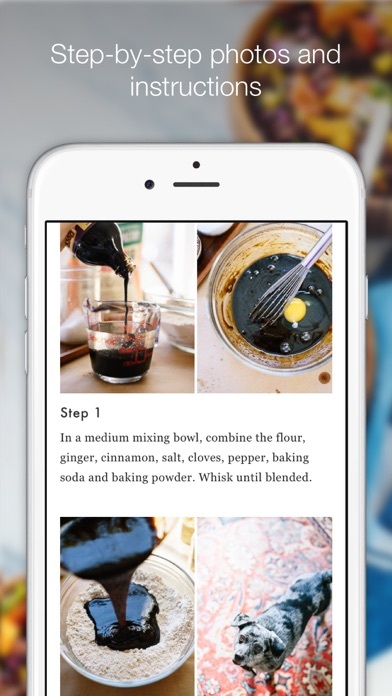 Kate has curated over 100 of her most popular recipes into the Cookie and Kate app, complete with step-by-step voice guidance from Kate herself, and photos that guide you through the process. She’ll personally guide you through each recipe, right in your kitchen. She is here to show you that cooking with real, wholesome ingredients can yield incredibly delicious results! “I’ve teamed up with SideChef to bring you a beautiful app that is packed with helpful features. I always want you to feel entirely confident every step of the way, and now I can guide you through each recipe, from start to finish. 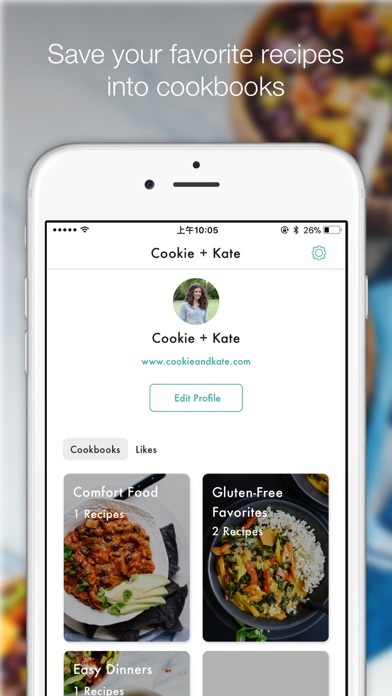 This app will become your own interactive, customizable Cookie and Kate cookbook!” - Kate Here's why you’ll love the Cookie and Kate app: -Cook along with Kate via step-by-step voice guidance. -See beautiful, colorful food photos of the finished dish and the steps along the way. -Browse Cookie and Kate recipes through the same easy-to-use category and search filters that you’ve learned to appreciate on the website. -Keep your favorite Cookie and Kate recipes handy with convenient offline access. -Save recipes to your own “cookbooks” to find your favorites even faster. -Adjustable serving sizes scale the recipe up or down to suit your needs and reduce food waste. -Easily email ingredients lists for reference at the grocery store. 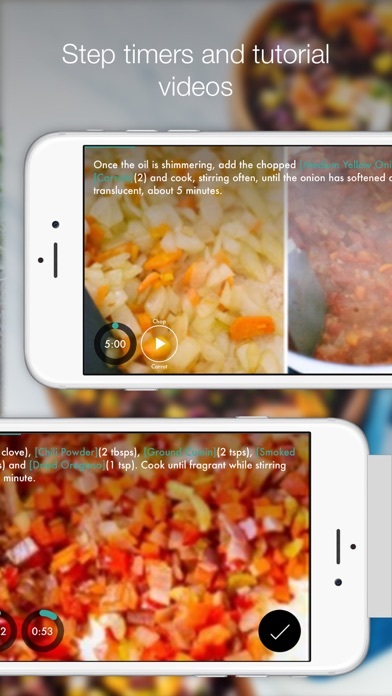 -Built-in timers help you stay on track as you cook. -Quickly filter recipes by season, course, cuisine and occasion. -Find recipes that suit special diets, including dairy free, egg free, gluten free, nut free, soy free, sugar free and tomato free. 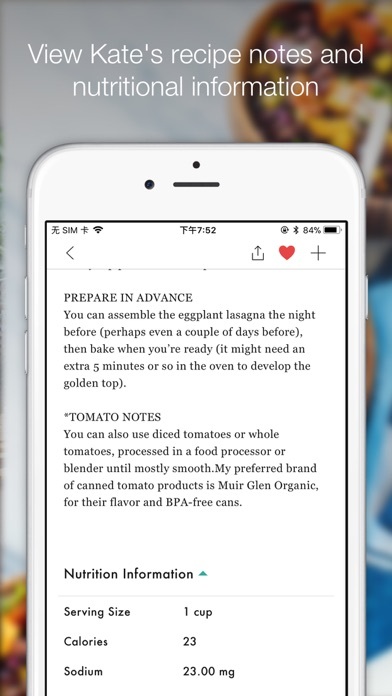 -Nutrition facts per serving are viewable on a simple click, and you can filter recipes by calories per serving. Upload photos of your results to share with Kate and fellow Cookie and Kate app users. Leave comments and ratings, too! Users outside of the United States will love the option to convert all recipes from U.S. measurements to metric. 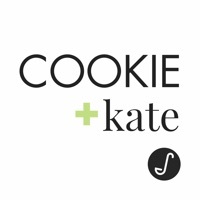 We've uploaded over 100 of the most popular Cookie and Kate recipes to the app, and more will be added monthly! Questions, comments or concerns? Email cookieandkateapp@sidechef.com.